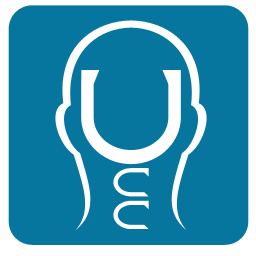 The Upper Cervical Blog: High Blood Pressure?...Upper Cervical Care? 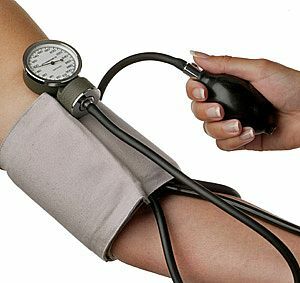 High Blood Pressure?...Upper Cervical Care? Imagine for a moment a radically conservative Mosque that issues a report acknowledging the Jesus Christ is truly the Messiah. Or imagine a news release from a major automobile manufacturer stating that designs for an efficient engine running on grass clippings - something that many people have ready access to - have been released to production. It is this category of surprising events wherein we find reports about a study produced by Rush University Hypertension Center. This is a report that needs to be studied, pondered and expanded upon. This is a report from a large medical institution stating that (upper cervical correction) of the atlas can reduce blood pressure in people suffering from Type I hypertension. Let us take a closer look! 1. What is the atlas misalignment? The atlas misalignment consists of a measurable displacement of the normal relationship between the atlas (first cervical vertebra), the skull and the neck below. The misalignment can be as little as.75 millimeter in linear measurement and still cause neurological insult. 2. What kind of hypertension was reduced? Type I, or idiopathic, benign hypertension. 3. How many patients were in the study? There were 50 patients in the study, half were in the placebo group and half in the experimental group. 4. How much was the hypertension reduced? Hypertension was reduced an average of 17 points on systolic, 10 points on diastolic. 5. Is this statistically significant? Yes. For the systolic change, the significance was measured at 0.0001, and for the diastolic at 0.002. That is like asking the question, "Is the White House in Washington DC? ", You know what the answer is with confidence. 6. How did they know the atlas misalignment was really corrected? Following NUCCA protocol x-ray analysis before adjusting, the misalignment in the experimental group averaged 2.17 degrees. Again following NUCCA protocol, the x-rays after the initial adjustment showed a reduction down to.22 degrees. At the end of the eight-week study period, x-rays showed that the correction was still reduced to.22 degrees. In other words the misalignment got corrected and stayed corrected. 7. How did they know the adjusting doctor did not just perform some kind of hypno-babble on the patients? There was an observer in the room to be sure he did not say a word. 8. Was there some other factor that may have been responsible for the change? In order to reduce the likelihood of this, participants could only be in the study if they agreed to forego osteopathic manipulation of any kind or chiropractic work for the duration. Also, they were not allowed to take any kind of antihypertensive drugs. Subjects were screened out who had an active drug or alcohol addiction. 9. Does this mean everyone should throw out their blood pressure medications? No, but it does mean that if you have symptoms of high blood pressure and signs of an atlas misalignment, correcting the atlas to the fine degree attained by a NUCCA practitioner might help the blood pressure normalize. Ask your doctor if he or she knows how to check for an atlas misalignment. Alternatively, contact a local chiropractor or even check with the NUCCA organization to find a local doctor who knows the right way to check for an atlas misalignment.